Partisan now has hot-desking spaces available. 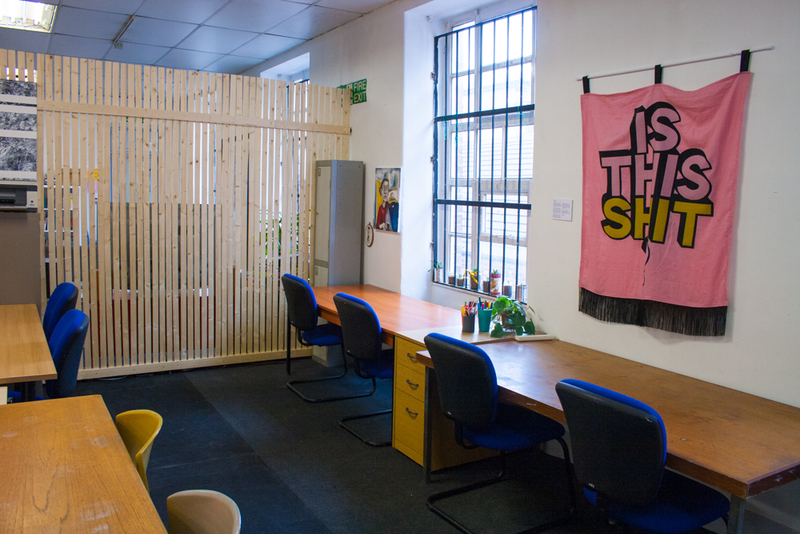 Located on our first floor, behind some wooden partitions that have been lovingly volunteer made, we have 8 spaces available over 4 large sized desks. Come and work around other creative and progressively minded people and organisations, all while supporting a good cause! 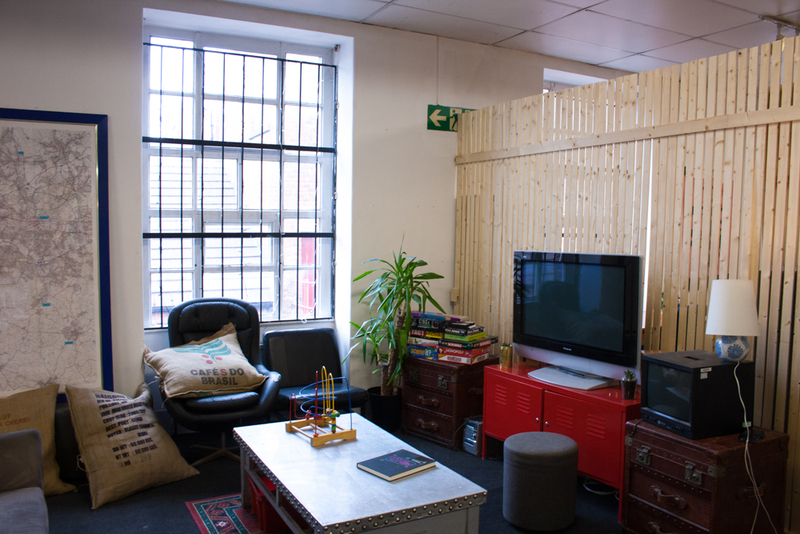 Hot-desking times are 9:30am-6pm and include internet, tea and coffee making facilities, plus access to some stationery. You’ll also be welcome to take a break in our games corner, make use of our community library, or have a game of table tennis in the basement. Over the next two weeks we’ll be trialling this at a special price of £5 a day. Our usual price will be £10 a day, and monthly bookings are available for £60 a month. Book using the calendar below. Please book at least 24hr in advance so we have chance to email you over access details. 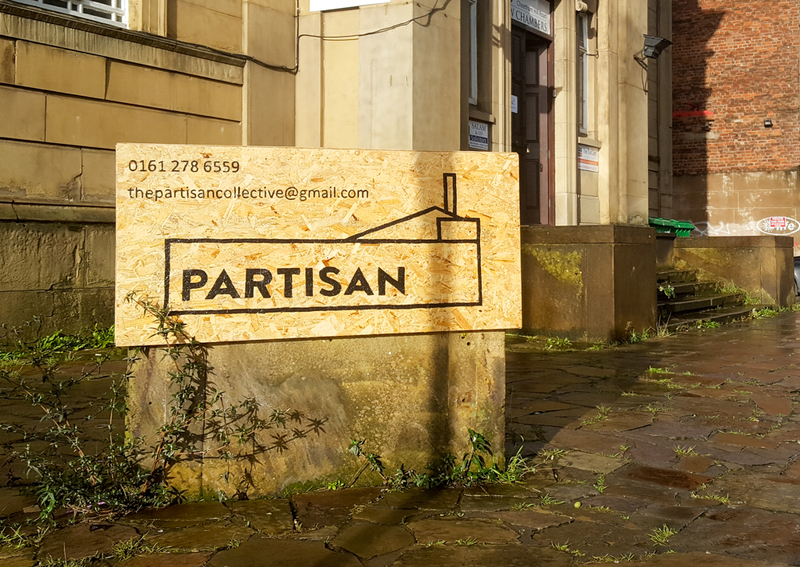 Contact us for late-notice or monthly bookings on info@partisancollective.net or call 0161 278 6559.